End of a busy day, when it would be good to have a confit de canard* up the sleeve, so to speak. There’s the leftover pearl barley “risotto” with asparagus–which Meredith had found unremarkable the other night–and the unpromising broccoli I bought this morning, in the fridge. Risotto rissoles and sautéed broccoli? The rissoles had a tendency to fall apart but the broccoli..! Steam the broccoli until just tender and set aside. 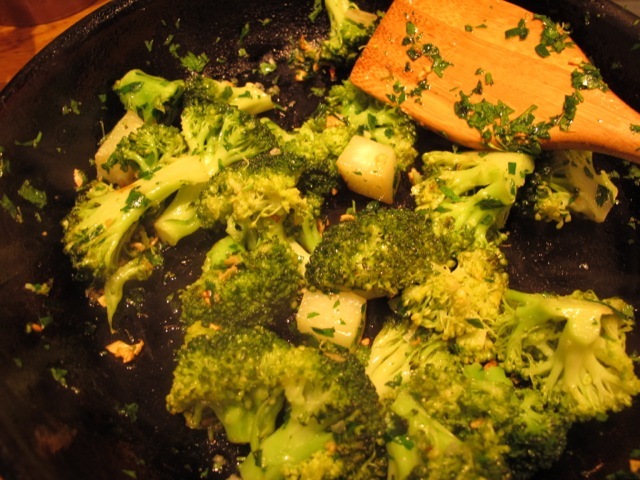 Heat the oil in a sauté pan large enough to hold the broccoli in a single layer. 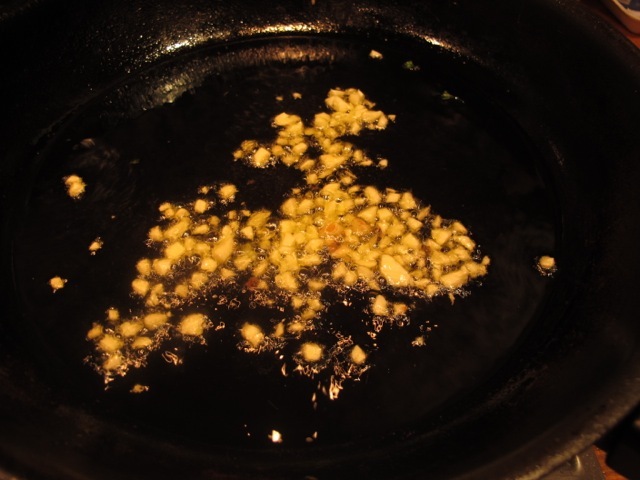 Sauté the garlic for a few seconds until it starts to turn color. Add the broccoli and the parsley and season with salt and pepper. 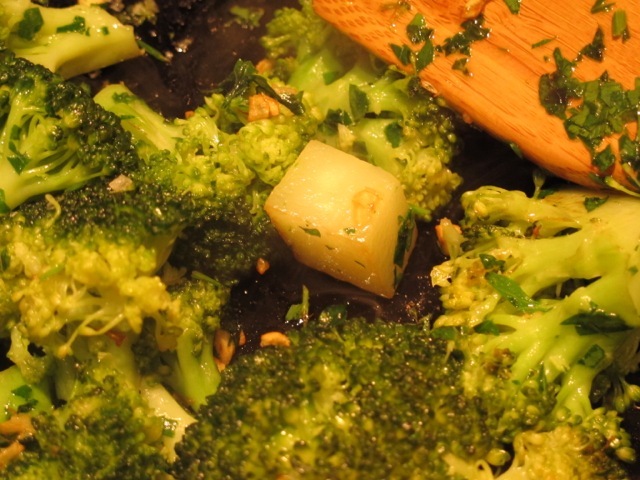 Stir fry for a couple of minutes over a medium heat–coating the broccoli thoroughly in the garlicky oil. If the broccoli singes a little in the process–all the better! You may wish, like us, that you’d made more! Thanks Robin. On the menu tonight! Posted link at Facebook. We all need more yummy greens!